For all of your Trailer Work, Romfo Auto Repair in Bottineau, ND 58318 knows how to fix the problem. 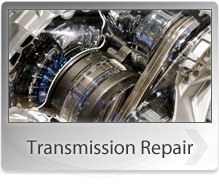 Our knowledgeable experts will have you back on the road in no time. Leave the dirty work to us! Faulty brakes put you and other road users at a great risk. Faulty brakes increase the chances of collisions. If your truck has braking issues, visit or call Romfo Auto Repair today. At Romfo Auto Repair, we have brake experts who will diagnose and work on your truck braking system. The floor is an important part of your truck/trailer. A trailer floor highly determines the safety and delivery of your goods. Trailer floors can be made of timber, aluminum, stainless steel or other strong metals. Call us or visit Romfo Auto Repair today for all your truck floor needs. The landing gear is the part of a moving truck that is underneath the main body. It is the supporting structural framework of a truck. A landing gear incorporates the wheels, suspension, brakes, traction motors, and powered units. In case of faulty landing gear, visit Romfo Auto Repair today. Lights are one of the most important parts of any vehicle. This is especially so if you travel early in the morning or late in the evening. The lights provide illumination for you as you drive. In trucks, the lighting system is made up of front, sides, rear, and top lights. The lights are designed to let you drive safely after dark. To increase your safety and the safety of other road users, make sure your truck's lights are in good working condition. 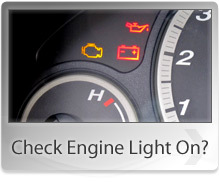 Have the lights and the lighting system checked by the experts at Romfo Auto Repair. Call us at 701-228-2752 today. To keep your goods safe, make sure your truck's doors are strong and working properly. At Romfo Auto Repair, we understand the urgent need to get your trucks and trailers back on the road when a door is damaged or working improperly. We will fit your trucks with specialty roll up doors for the truck and trailer. 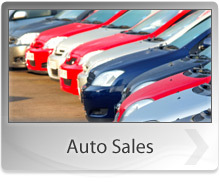 Give us a call or visit our auto shop in Bottineau, ND 58318 today. With a faulty suspension system, the truck's performance and handling will be greatly affected. Also, driving on rough roads will not be an easy task. If roads were perfectly flat, suspensions would not be necessary. To have your truck's suspension system checked, repaired or replaced by suspension experts, contact or visit Romfo Auto Repair in Bottineau, ND 58318 today.